News staff reporters Jonathan D. Epstein and Jay Rey recently dug into the nuts and bolts of the hotel construction boom under way here, including upside comments from some developers and cautionary warnings of too much too soon from other experts. It is difficult not to get excited by the activity. 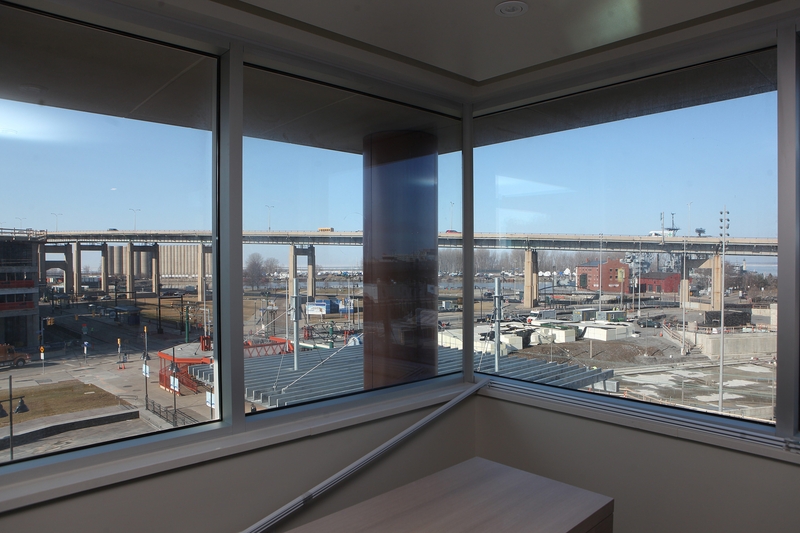 Among the hotel projects: the Marriott Buffalo HarborCenter next to First Niagara Center, the Courtyard by Marriott opening across the street at One Canalside, the Hilton Garden Inn under construction in the Tishman Building at Lafayette Square and the Curtiss Hotel a few blocks away on Franklin Street. And there is the hotel that Delaware North Cos. plans to operate as part of its headquarters tower at Delaware Avenue and West Chippewa Street. Buffalo developer Carl P. Paladino’s Wyndham Garden Hotel in Amherst caused quite a stir, one that helped fan opposition to the Hyatt Place Hotel going up nearby on Main Street at the Youngmann Highway. This hotel boom translates to as many as 26 new hotels, more than 2,000 rooms, in the area over the next five years, with eight of them under construction. And there could be nine new hotels over the next few years in Niagara Falls. Supporters of the new hotels say the builders have assessed the market and can justify all the new hotel rooms. And many of the hotels are in demand locations: the First Niagara Center/HarborCenter ice complex, the Buffalo Niagara Medical Campus, the Walden Galleria, the airport and Niagara Falls. While it’s true that developers are taking most of the risk for these projects, let’s not forget the public’s role. Erie County has six industrial development agencies willing to help out, and some of these private projects have sought and received an array of tax incentives. A developer looking to build on Niagara Falls Boulevard might think the view from the Amherst side looks a lot more profitable than from Tonawanda. That’s because Amherst has an IDA that has been a poster child of sorts when it comes to handing out tax breaks to projects critics have said would have been built without them. Among those criticized is the controversial six-story Hyatt Place Hotel, which received $1.4 million in tax breaks. But that isn’t the only hotel project that has stirred up ire among critics of the tax breaks. Two years ago, the Erie County IDA’s controversial decision to grant an estimated $275,000 in tax breaks for a $5.5 million renovation project at the Millennium Hotel in Cheektowaga prompted the agency to revise its hotel policy. Some objected to granting tax breaks to a profitable business. The new county policy limits incentives to hotels that are built or renovated in conjunction with a convention center, conference center or major regional attraction, or hotel projects that meet the IDA’s adaptive reuse policy, which encourages renovation of vacant buildings. The county IDA went beyond its original proposal to include hotels that are part of a neighborhood enhancement area, or portions of a community being targeted for development. That includes much of the City of Buffalo and key portions of some suburbs. Public investment to get these hotel projects off the ground can be justifiable where decades of stagnation has strangled development, but the availability of that kind of help should be viewed as temporary. Taxpayers should not have to keep footing the bill down the road for projects that take advantage of previous development and therefore have a lower risk. Meanwhile, we’re going to remain solidly optimistic about the hotel boom as new attractions draw more people to the area.